The right End-of-Arm Tools (EOAT) improves both the flexibility and cost effectiveness by working in harmony with the robot, increasing productivity, improving quality, and reducing costs. Work in reverse, design the EOAT before selecting the robot. A top support issue Vaccon assists customers with is EOATs that are too large for the robots. Robots are often purchased then the EOAT is designed, only to find out that the EOAT is too heavy for the robot to handle. 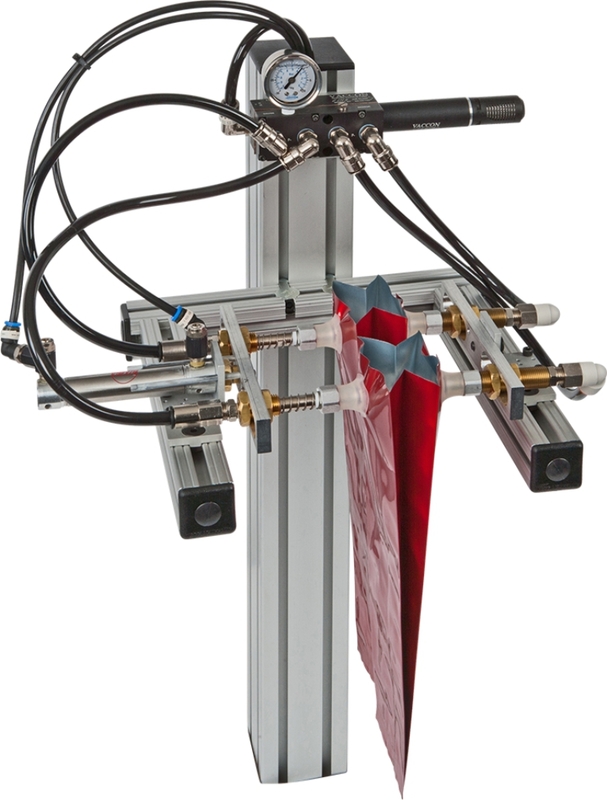 Vaccon finds solutions for customer's material handling problems by creating new tools, redesigning existing tools or rebuilding systems to ensure safe part handling while extending the life of the robot. Vaccon has extensive experience developing and delivering EOAT solutions for a wide range of industries and applications. Vaccon will build a custom EOAT and test it using your product at our in-house Tech Center, usually within the same day. Contact Vaccon Engineering with your specific application requirements. Vaccon partners with A3 Assocication robotics manufacturers including Fanuc, Kuka, Nachi, Rethink Robotics and Soft Robotics.